Dr. Louis Downs is visiting UIN Sunan Gunung Djati, Bandung from November 19 to December 10, 2018, to assist the university to develop a curriculum in disaster management related to the psychological well-being of survivors. The university hopes to equip students and professionals with the necessary expertise to help victims in disaster and other post-trauma situations. Dr. Louis Downs began, early in his career, to specialize in trauma, personality and anxiety-based disorders, having studied under the renowned psychiatrist, Richard Kluft, M.D. His psychotherapeutic career spanned over 17 years, before he returned to graduate school to earn his doctorate in Counseling Psychology from Oregon State University that included both counseling psychology and clinical administration. He has continued psychological interventions with survivors of trauma and personality-based disorders since receiving his doctorate in 1997, and has taught crisis, trauma, and personality therapeutic interventions in graduate and postgraduate courses, since 1997, as well as in workshops since 1986. 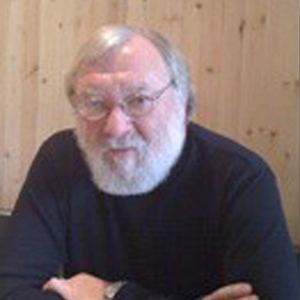 He has published 45 papers, journal articles, and books on trauma, anxiety and personality psychology in five nations. Dr. Downs has consulted with and trained counselors in Brunei Darussalam, developed a school-based PTSD program for the Phang Nga region of Thailand, collaborated with the Bureau of Innovative Programs of the Ministry of Education of Thailand to develop a manual for treatment of posttraumatic stress disorder, and has provided manuals for disaster mental health relief to therapeutic and university communities in Indonesia, Malaysia, Singapore, the Peoples’ Republic of China, and the United States. He has taught posttraumatic stress disorder and critical incident process debriefing interventions to the Singapore Armed Forces Counselling Centre, trained the primary disaster mental health relief teams of the State of Penang, Malaysia as well as of Sichuan Province, the Peoples’ Republic of China after the 2008 earthquake; additionally, he has provided clinical training and supervision throughout Indonesia, Malaysia, Thailand, China, and the USA. He is a member of an elite group of scholars who have been the recipients of four Fulbright Fellowships. As a leader in the counseling psychology field he has served on seven national committees for the Association for Counselor Education and Supervision and the American Counseling Association, and held positions as the Director of the Southeast Asian Trauma Program and Clinical Professor at the University of California Davis School of Medicine, Vice President of the Veterans, Immigrants, and Refugees Trauma Institute of Sacramento (VIRTIS), was a Professor at the Sultan Hassanal Bolkiah Institute of Education, Universiti Brunei Darussalam, and is presently a Professor Emeritus at California State University, Sacramento Department of Counselor Education.